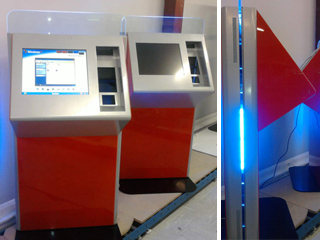 This kiosk, comes with a low level interactive display, suitable for many uses. This impressive unit is based on our standard proven technology, this new design brings a multiple screen options, to allow greater flexibility. It is also available with point of sale and transactional options such as chip and pin readers.